I do not know if you guys the name Armando Ferreira says something, but among Android modders, he is a really big fish. With his How Tos - Theme your Android phone like a boss - he has made ​​a name for real and now he has released his latest feat. 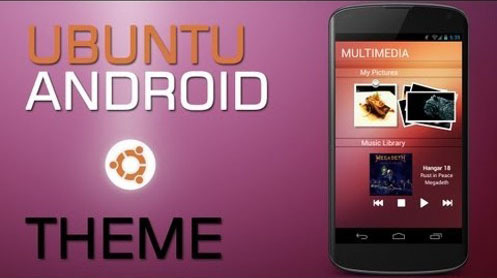 He has his Nexus 4 makeover to make it look as if it Ubuntu OS running. In his inner Nexus 4 is still an Android smartphone, but the launcher yells, "I'm an Ubuntu Phone ". So my smartphone could Mr. Ferreira also undergo gladly times a makeover. Like you, his or her work is more on the default launcher that everyone has?